Michele Lilley loved to discover antique keys when she’d go treasure hunting with her grandmother at estate sales and auctions. She used to wonder why modern keys are so plain compared to yesterday’s beautifully ornate keys. Now, instead of wondering, Michele is creating tricked-out keys with designs that range from vintage classics such as fleur-de-lis and crowns to contemporary icons such as baseballs and flip flops. Her key designs are compatible with the most common household locks from vendors including Schlage, Baldwin and Kwikset. Once you figure out which kind of lock you have, you can order the style you like and have your local locksmith cut the key to fit your home’s lock set. (There’s a diagram in the Details to help you determine which type of key you have) Your house key goes with you whenever you leave home, and when all your errands and drop-offs and socializing are finished, it lets you back inside your home sweet home. An object so important deserves a little more style -- and a touch of enchantment. Which one is your favorite? What's the difference between Kwikset and Baldwin and why would I choose one over the other? 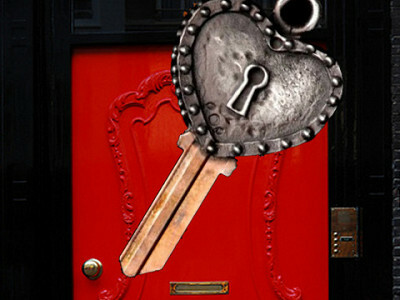 the key to your door depends on the lock that you use. a kwikset lock can only be opened by kwikset key, the same way a schlage or baldwin key can only open the lock that is a schlage or baldwin lock. @Michele Lilley: Hi, so does this mean that if your key says Yale on it, you are out of luck? Thanks. I love these keys! They make the best gifts!! The only problem is deciding on which one to get... They are all so unique and beautiful! What a unique and beautiful idea.I love the fact that they are so intricate and detailed. I think I will be getting the flip-flop as a gift for my parents to open the door of their beach house castle. Thanks Michelle! hi stacey, thank you for your very sweet comment, i'm so happy that you like the keys...m.
I love them all Michele!!!!!! I was curious about the keys, and opened the site to discover more, and what a surprise to see the first words of the description were MY name (well, maiden name specifically). How funny - you spell it exactly the same, both first and last. Great to see "another" Michele Lilley with a wonderfully creative spirit! Continued good luck with your product!! wow, this is a first for me too...may i say that you have a very nice name...m.
Hi! I love these and will be ordering one for myself and my husband, and am thinking of buying them for gifts, too. I'm also going to suggest to my interior designer and my realtor that they buy these as "project completion" or "new home sales" gifts. I would also like to say that it would be nice to see some designs that could be seen as masculine, without the sports themes or the skull/crossbones...I can't really find one that seems to fit my husband, but know he'd love the concept. i am always looking for new ideas, especially for men...if you have any suggestions for something that might appeal to your husband please let me know...thank you, m.
I am trying to buy the heart one on the daily grommet web site. Each time I choose it, it shows up as the golf ball in the shopping cart. hi susan, i forwarded this to grommet, i'm sure they will resolve this as soon as possible...thank you, m.
@susan: Thank you for letting us know. We are fixing it and I will email you directly when it is all set. What a classy gift! Soooooooo creative. It's house jewelry! Your story about creating the keys is as magical as the keys themselves. I am buying the crystal heart keys for all of my friends in our social club. It's fun give a gift that everyone is talking about. My son loves the skull and wants his friends to get keys too. He plans on wearing his. Great idea Michele! I love your keys! I absolutely love my keys ! ... yes, I bought more then one ! I bought the cowboy boot & frog prince keys for me & the castle key for a friend that just bought her 1st home... they make awesome gifts !! So unique & so beautiful !! I love my keys. My wife and I have had them for years. Michele has so many great designs. I can tell you, they are a great conversation piece. Cool product! Thanks Michele. The keys are absolutely wonderful, I wish I had more than one door to open! They have been perfect gift choices for those friends of mine who already "have everything". Well Done,Michele! Michele's key story about her and Grandmother, reminds me of my Grandmother and the times I spent with her. And every time I use my special, I remember my Grandmother. Thank you! 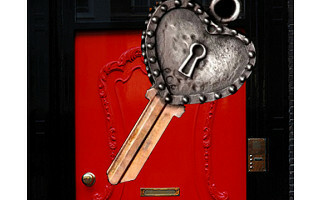 "keys to my castle" and Michele Lilley! @Yoli: How wonderful that you are reminded of your Grandma each time you reach for your key. That is a special connection to have. Thank you for sharing! @Elizabeth: We are glad she loved the gift you chose for her! Someone from our customer support team will be in touch with you to help you get the correct style. Hi, I want to order two of these keys, but I am very confused. The video makes the key selection seem like a simple matter of double groove vs. single groove, but the ordering process asks us to differentiate Kwikset vs. Schlage. I am very confused. I have what appears to be a double groove key, but it says YALE on it. Does this mean that I cannot order? Thanks. @Michelle: The key designs are compatible with the most common household locks from vendors including Schlage, Baldwin and Kwikset. Michelle has this to share: "I do not do Yale locks...actually yours is the first request I have ever gotten. Sorry about that." Michele Lilley loved to discover antique keys when she’d go treasure hunting with her grandmother at estate sales and auctions. She used to wonder why modern keys are so plain compared to yesterday’s beautifully ornate keys. Now, instead of wondering, Michele is creating tricked-out keys with designs that range from vintage classics such as fleur-de-lis and crowns to contemporary icons such as baseballs and flip flops.